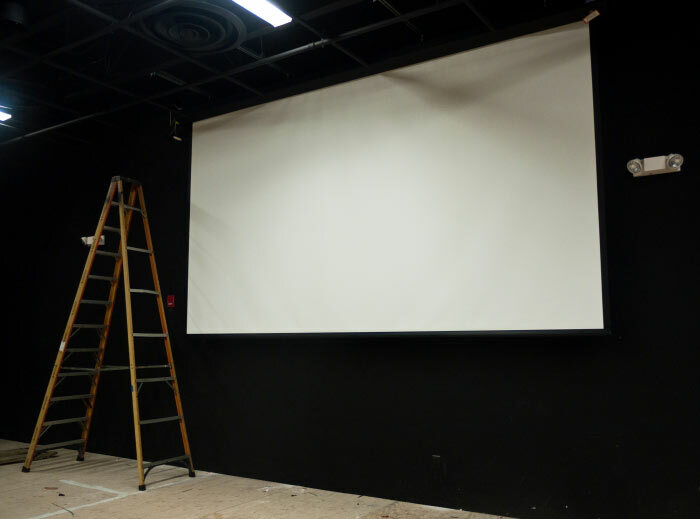 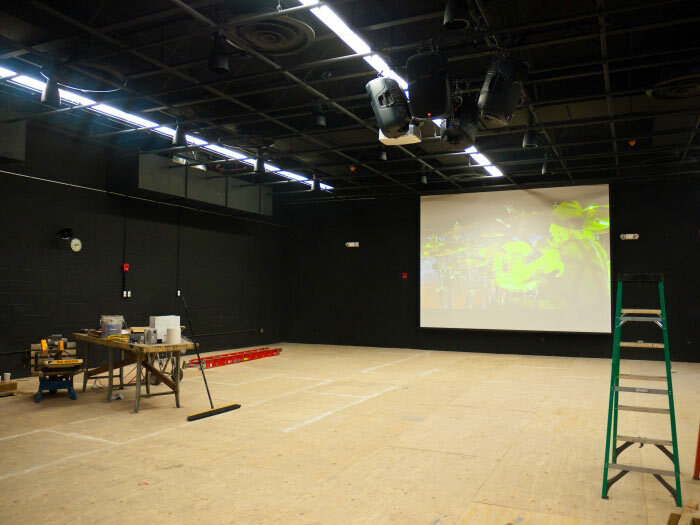 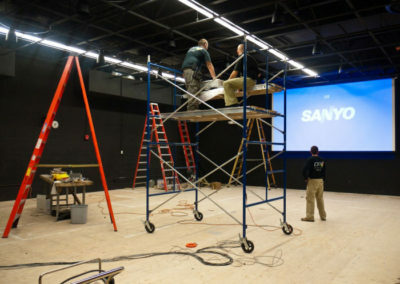 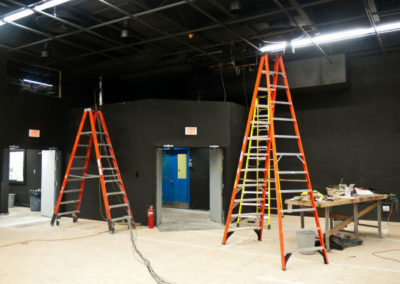 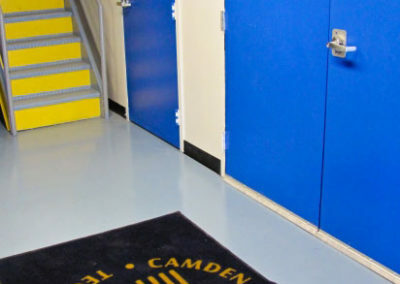 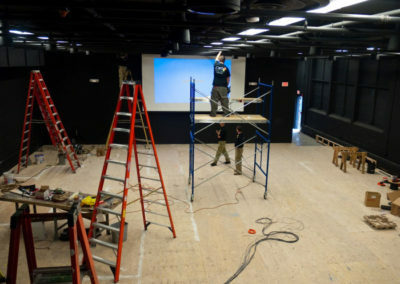 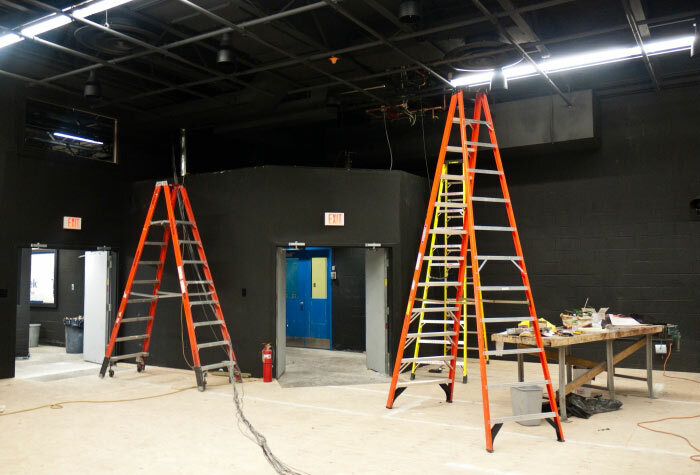 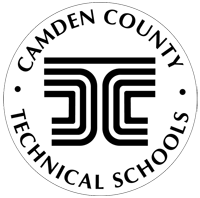 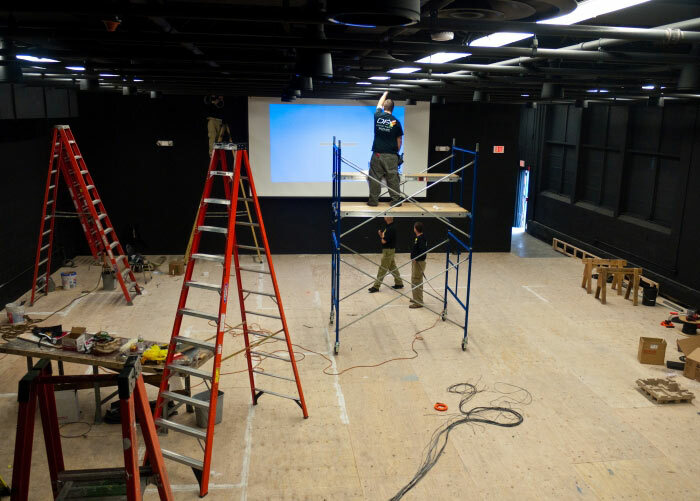 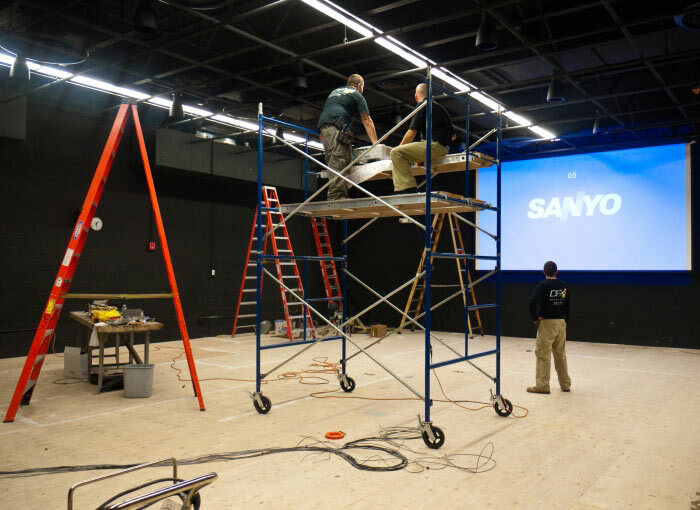 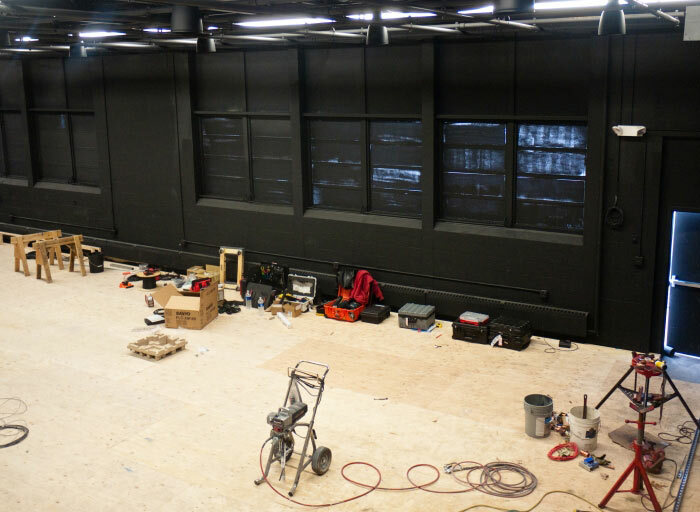 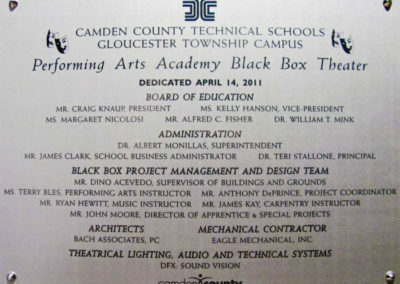 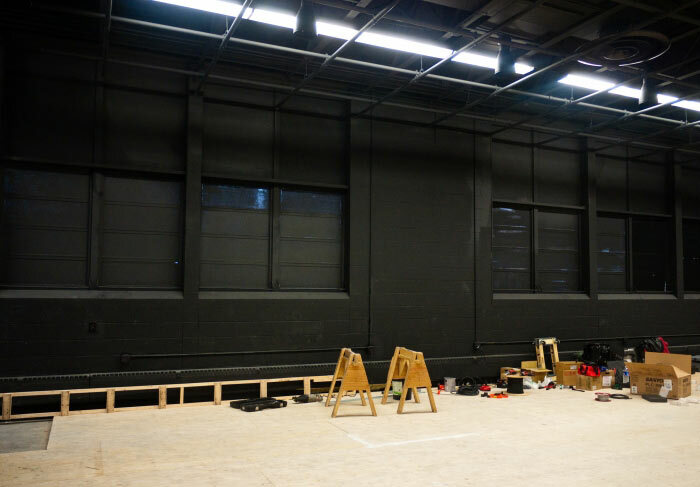 The Camden County Technical School Performing Arts Academy in Sicklerville decided to transform their 4,800 square foot carpentry shop into a Black Box Theatre. 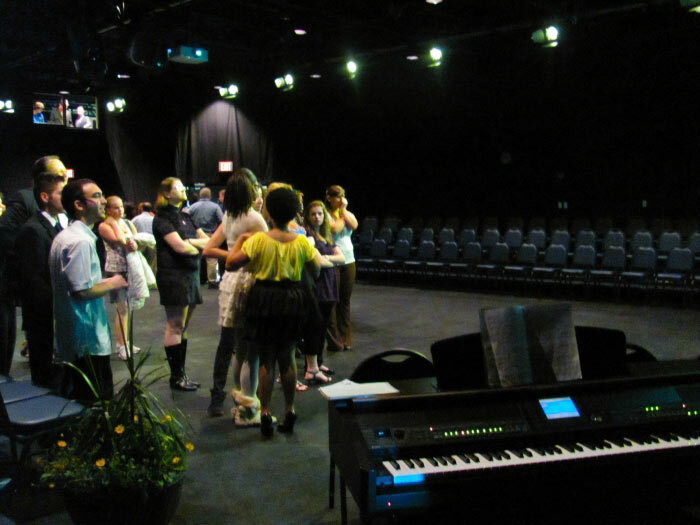 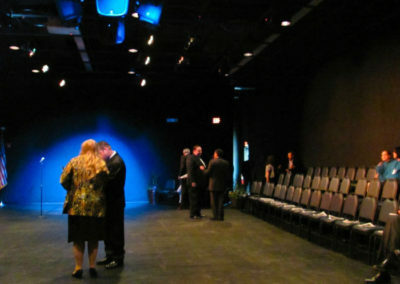 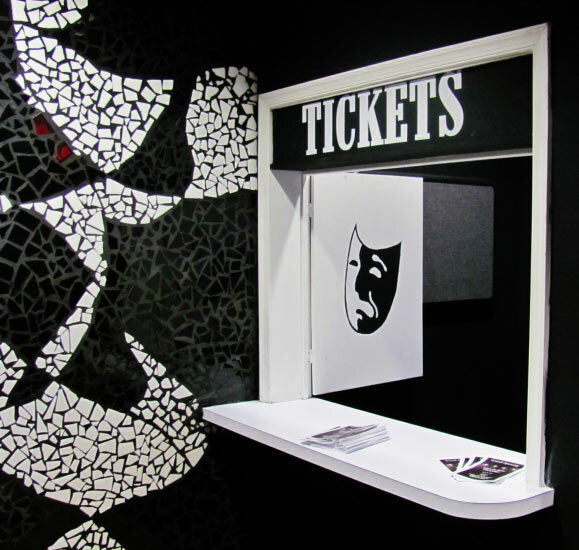 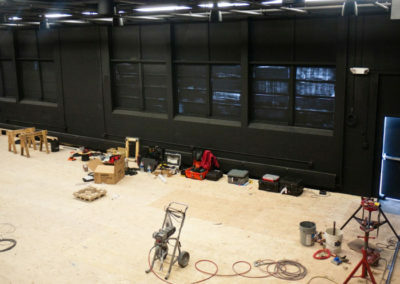 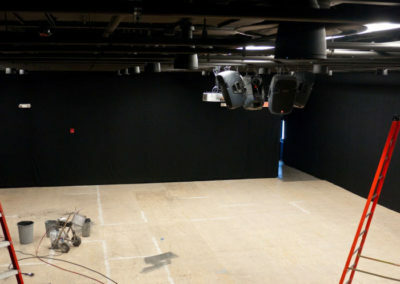 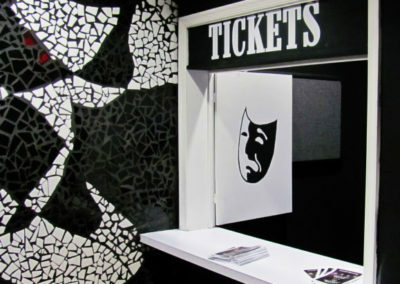 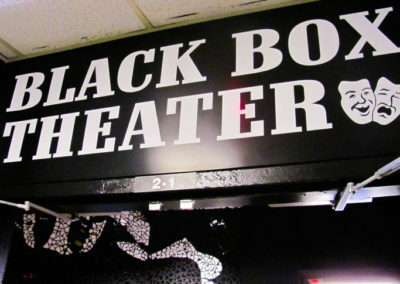 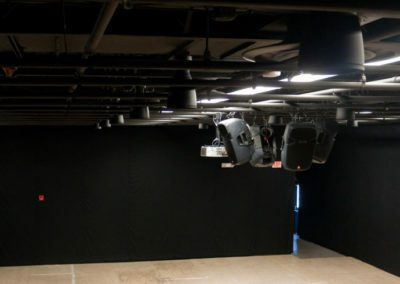 A black box theater, a concept which started in the 1960s, provides flexible staging techniques and allows the entire space to be adapted to the artistic elements of a production. The black box space provides the academy a versatile environment for their acting, voice & diction, movement, and musical theatre history, as well as for students’ professional and career development. 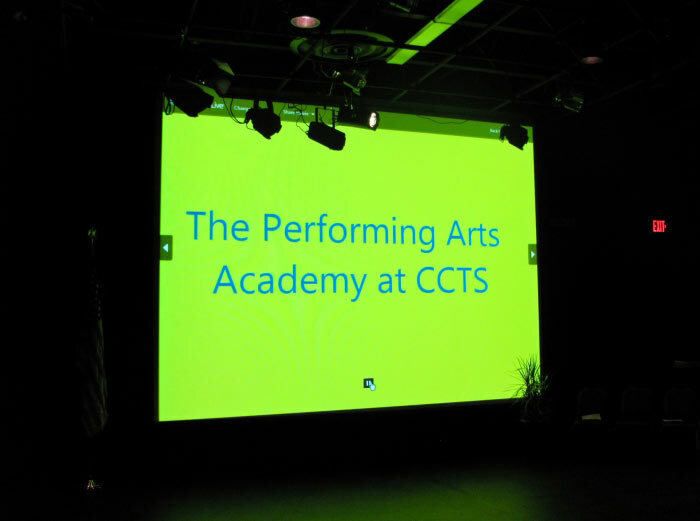 CCTS chose DFX to help design and implement the sound, lighting, and video systems in the theater. 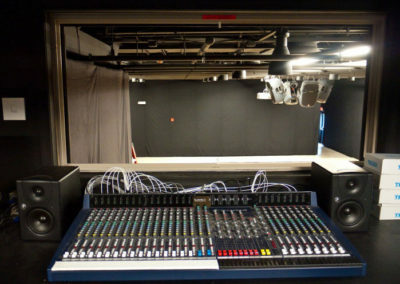 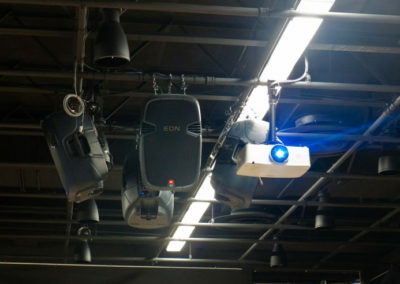 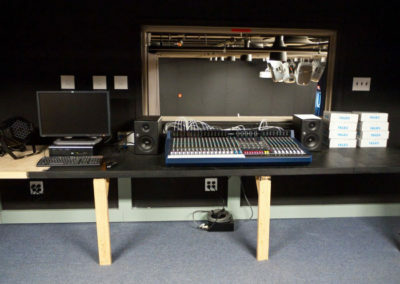 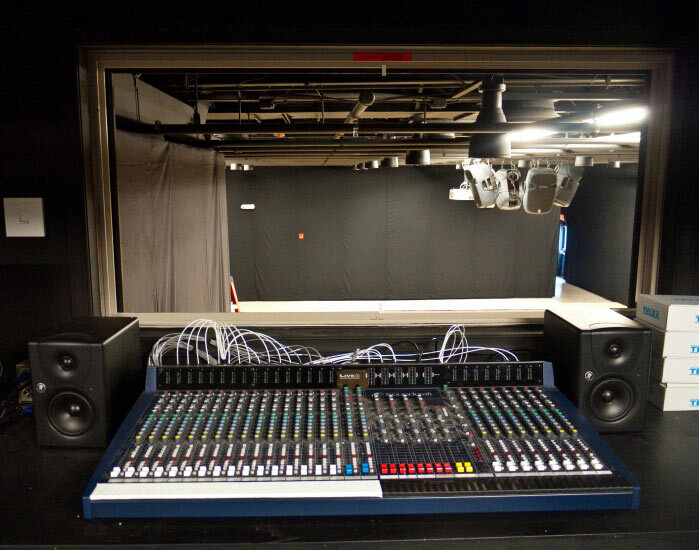 DFX incorporated some of the school’s existing sound equipment, such as powered speakers, wireless microphones, and a 24-channel mixing console, in order to keep the budget in line. 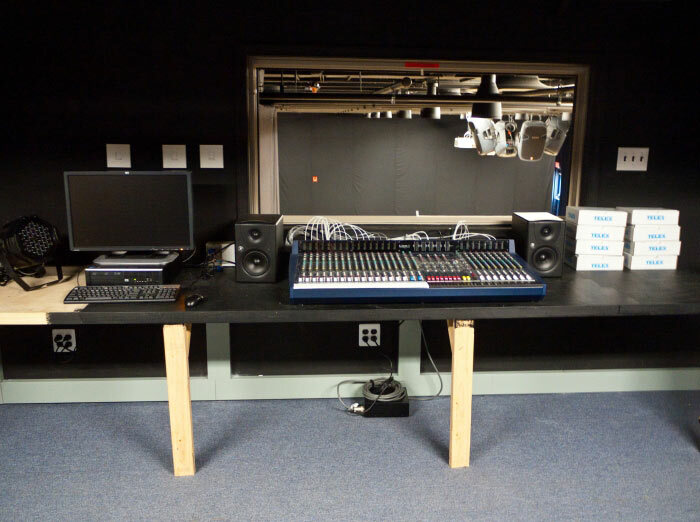 These items were supplemented with digital processing, multiple input locations, and wireless intercom. Through the use of LED technology (specifically Elation ELED Fresnels and LED Par Zooms), DFX was able to provide CCTS with a low energy and maintenance-free lighting solution. 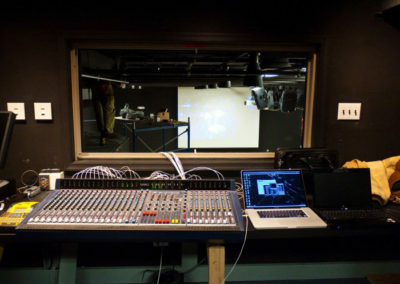 The lighting is controlled by the user-friendly Martin Light Jockey, a PC-based system through which students can manipulate the output. 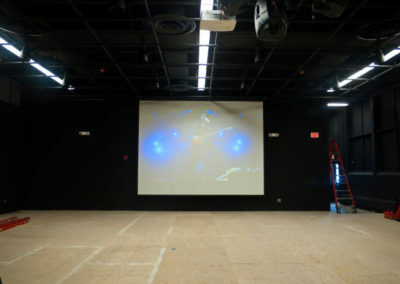 The video system consists of a 6000 lumen projector and a 240″ diagonal projection screen. 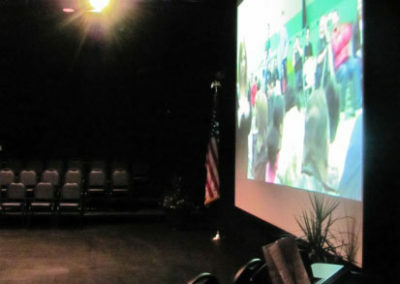 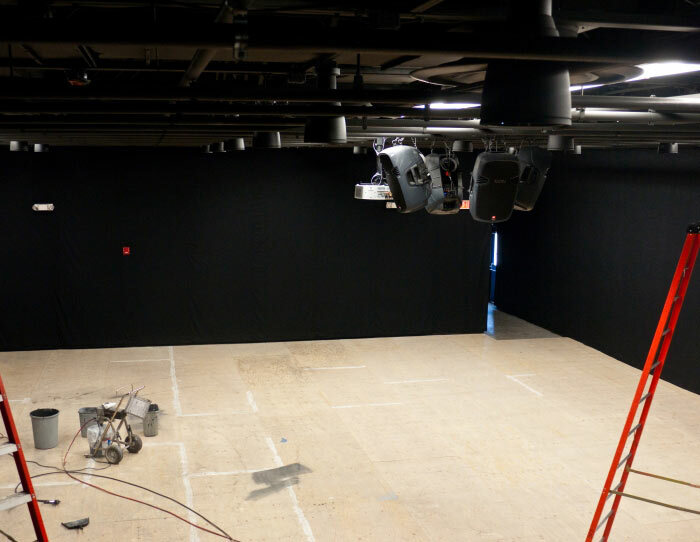 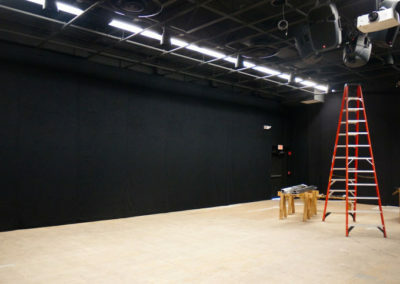 In addition to the impressive projection screen, another unique part of this Black Box Theatre is the use of black drape throughout the entire room. In addition to “blacking out” the room, the fabric acts as sound dampening material as well by absorbing echoes and reverberation, leading to a much more enjoyable listening experience. 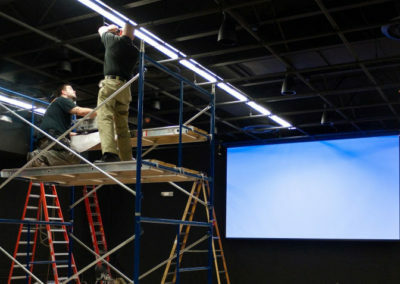 DFX also installed a 15’H x 25’W sharkstooth scrim to project onto for lighting and video effects. 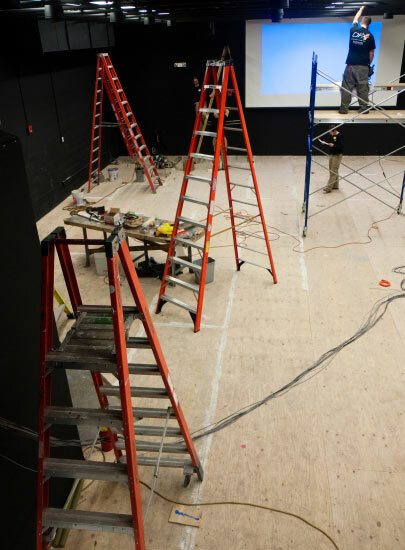 Since CCTS is a technical school, their carpentry students assisted with the steel stud framing, drywall, moldings, setting floor tile and painting. Upon their completion in February 2011, DFX began the A/V installation process and completed it in a matter of just 2 weeks. I have never been steered wrong by DFX. Everyone I have dealt with has been up front and honest with what I’ve needed and what they could provide. 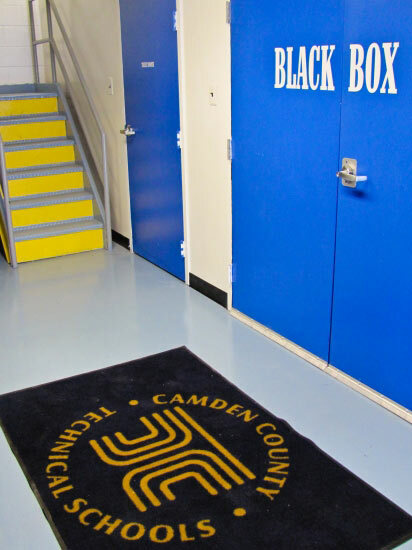 Their staff is their greatest strength: extremely helpful, friendly, and quick to help out. 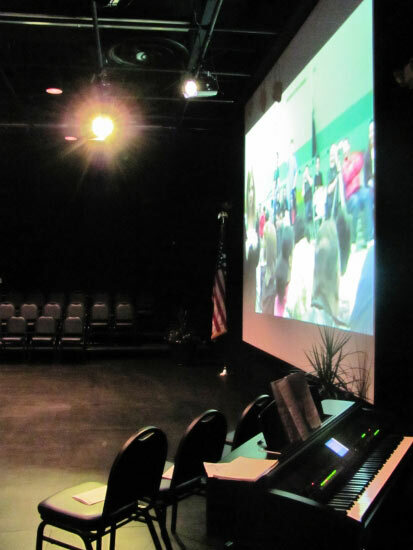 No other company I have dealt with has a staff as friendly and approachable as DFX. 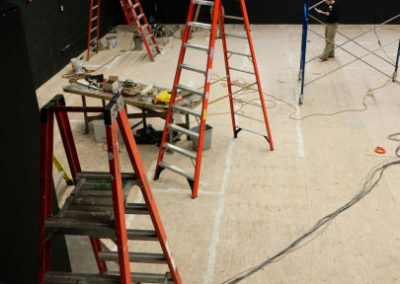 They are always willing to stop and assist with no notice. Every team member works in an expeditious manner — they make us feel special. 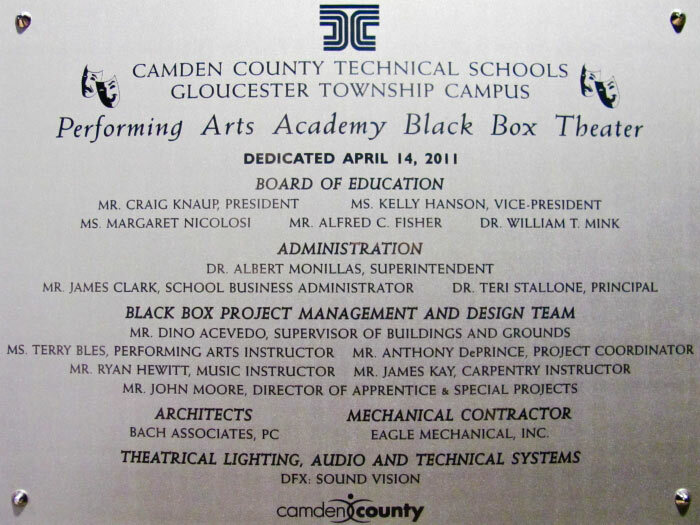 They have taken the time to develop a relationship with us at our school.